Reading Eggs… on the stairs! 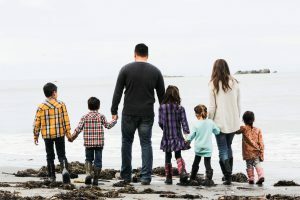 Many years later, with 5 children all in different ages and stages and walks of life, I am a little less worried and a little more confident in both the homeschool experience and my children’s own differences. I have kids who are ahead, and some who are significantly behind their grade level and some who float somewhere in between. 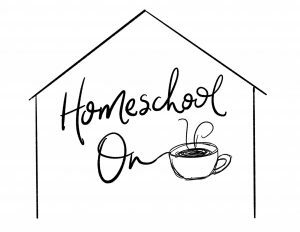 When I look back on our homeschool journey, I see some things that we can improve upon, some things that were unchangeable, and some things that I never even recognized in the moment. 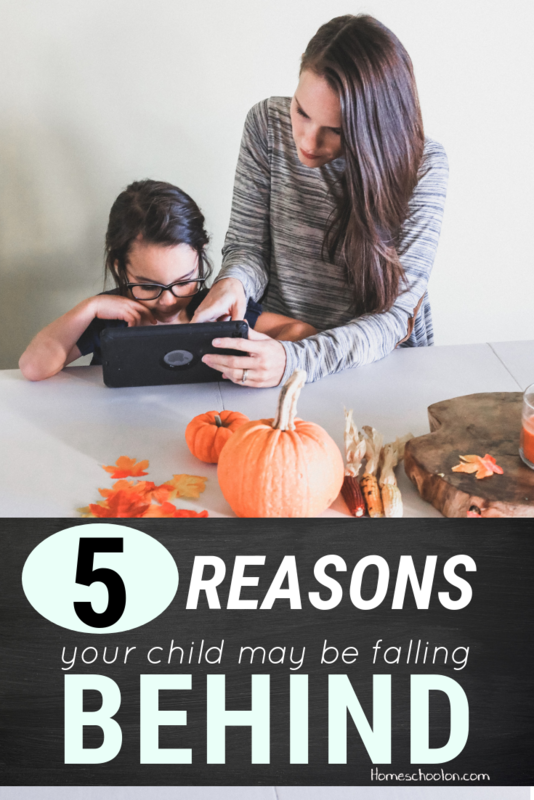 I decided to put together a list of 5 common reasons your child may be behind their grade level as well as some practical tips of what you can do about it and a tool that has made a huge difference for us! My eldest son was one of those kids who just took to reading. It wasn’t repetition, it wasn’t some crazy reading program, it was just something he understood. By the end of kindergarten, Caleb was reading at a grade 2 level and I couldn’t even take the credit for it! My younger son on the other hand, still struggles to sound out his words and it hasn’t really “clicked”, he is turning 9 this fall. Hear me when I tell you that your children learn and grow and develop at their own pace. This is where the line of “normal” kills us. You cannot actually control your child’s brain development, it is one of those things that you have to surrender to and give them enough practise until it one day makes sense. There could be nothing wrong with your curriculum, nothing wrong with your approach, and nothing wrong with your child! It just might need more time! The longer you homeschool, the easier it will be to start to identify problems that are continuously standing in your way. Whether it is behavioural, attention span, dyslexia or dysgraphia, a processing disorder, or anything that is affecting your child’s ability to concentrate or process information… a learning challenge is something to always be on the lookout for. If you are dealing with the same mental block or learning challenge over and over again, year after year, in every subject, you may need to consider the cause. 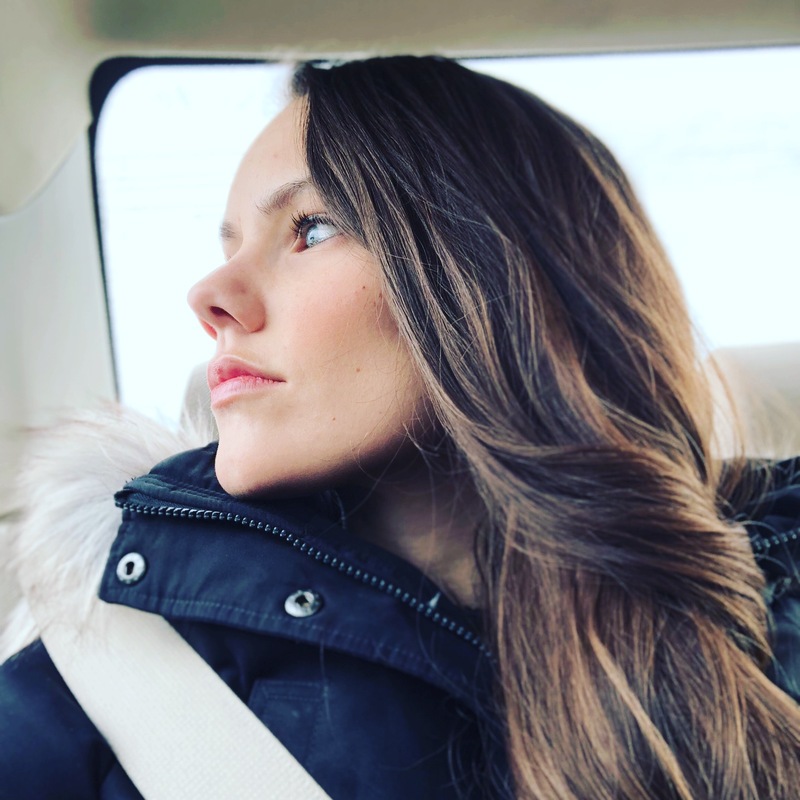 I am not saying you should or should not get your kids tested, that is entirely up to you, but understanding at least what you are dealing with will help you take some of that pressure off of yourself and your child and perhaps approach learning a different way. 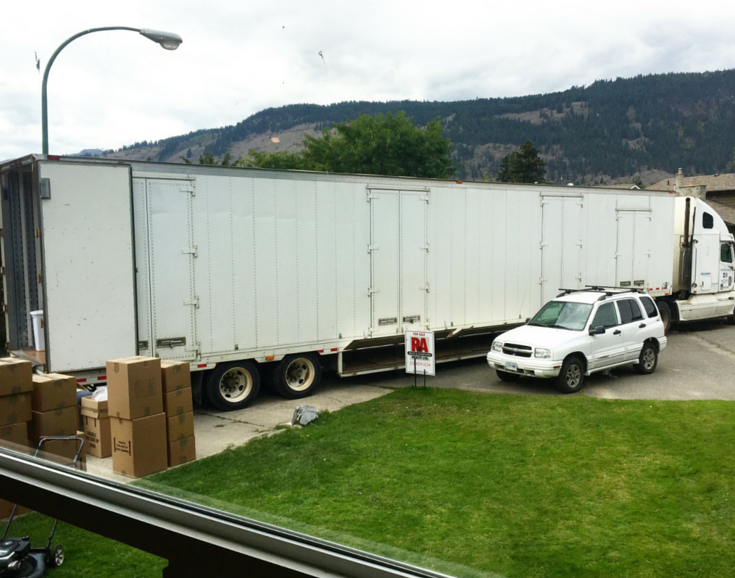 We have moved two times during our little homeschool journey, and every time it throws a complete wrench in our lesson plans. Every time we have a baby or there is some sort of family emergency or tragedy or something significant happens in our lives… school suffers. Talk to any homeschooler anywhere and they will tell you that this is part of the homeschool lifestyle. Life happens, and everyone is constantly adjusting to deal with what they can, the best they can. Sometimes the problem is not the busyness of your life, nor your child’s development, nor any sort of challenge or block… it is the style or approach of the lesson that isn’t getting through to our kids. If this one has you nodding your head, take a few seconds to take the learning style quiz, it’s free, it’s fast, and it will help you identify how your child learns. This is paramount to understanding why a certain curriculum or approach may not be working. 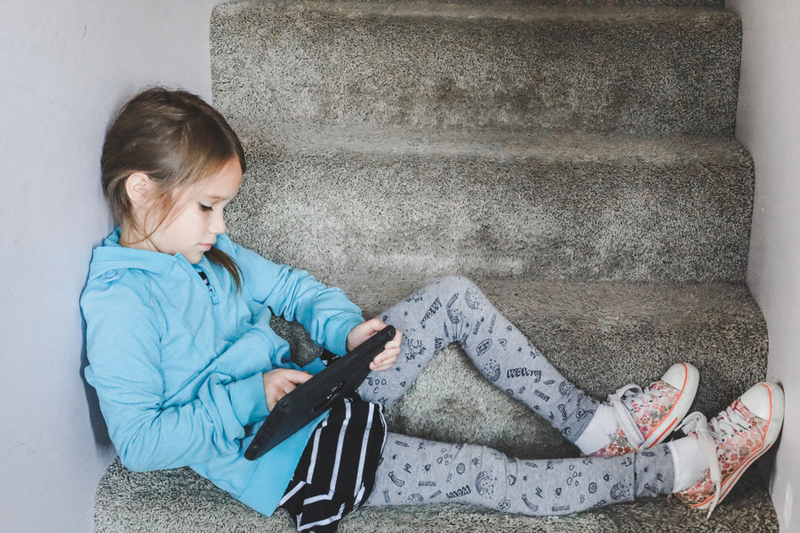 If, for example, you have a child who is incredibly kinesthetic doing a very traditional program with lost of reading and writing and very little interaction… you might have found your culprit. A kinesthetic learner processes information in a very hands-on way. They need to touch it, to see it, to experience it in order to retain it! If a curriculum is causing both you and your child to hate school and slowing you down, it may be time to find a different solution! I saved this one for last mainly because it is the most common struggle that we face. It isn’t the big life events that we can use as an excuse, it’s the day-to-day consistency that we can’t seem to get a handle on. Simple things like setting “school hours” or setting up a schedule or routine, or having some accountability can help us find our rhythm. One of my biggest struggles in this area is that every child needs me for every subject all the time. 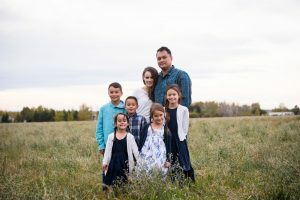 With 5 kids, I go a little crazy bouncing around from one child to the next and tend to avoid the chaos if I can or just not get to all the kids in a day. 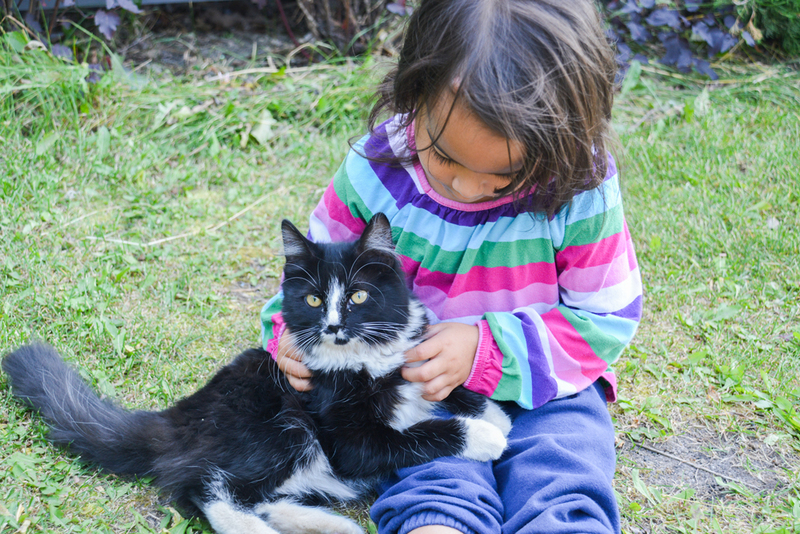 We don’t like to admit it, but there are times that we have to take some ownership of our children’s levels so that we can figure out how to stop the cycle or what to do about it. In every one of these situations, there are some simple things you can do to make a huge difference. Evaluating your approach/style, your curriculum, and your day to figure out what is working and what isn’t working is the best place to start. Accepting the things you cannot change and finding a way to work with your current circumstances. 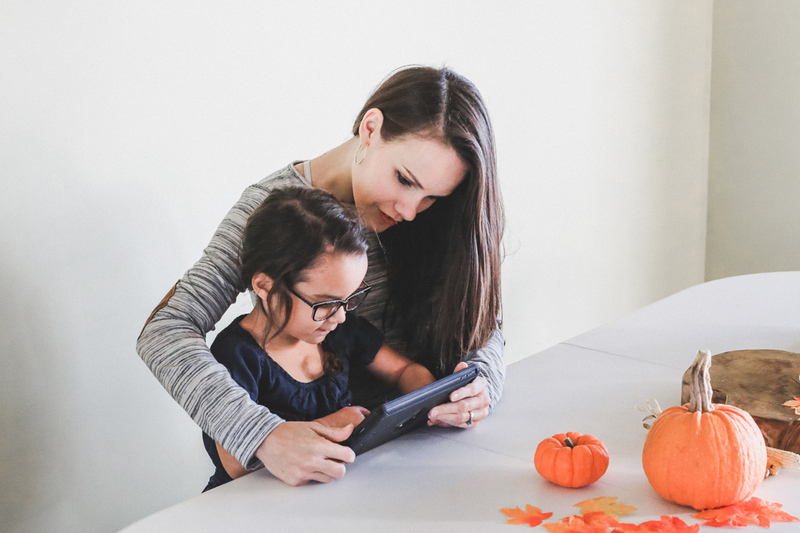 Identifying if there are learning challenges or developmental delays that you are facing and if so, taking some of the pressure and expectation off of your (and your child’s) shoulders. I really recommend sitting down and making a list of all the things that you feel are not working, that you are struggling with, that are impacting your child or your homeschool day. Once you have a handle on the problems, you can start to brainstorm some solutions. Keep on coming back to your list to see what you might want to tweak or change. One of my all-time favorite tools that I have found works in every single one of the reasons listed above, is Reading Eggs. 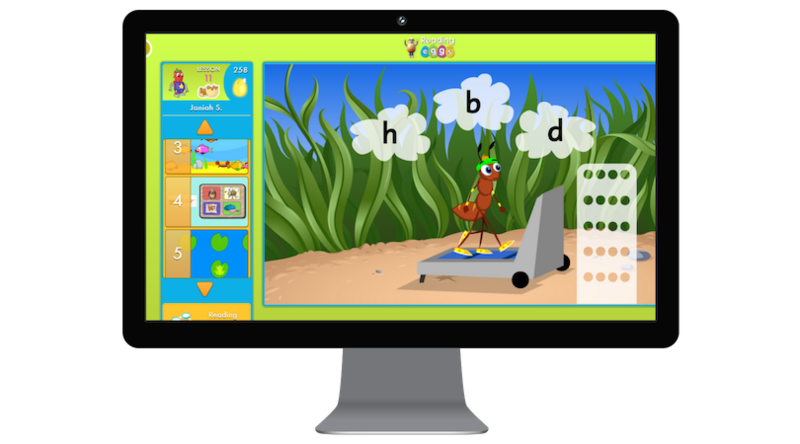 Reading Eggs is an app that you can use on your computer or tablet that is tailored to your child’s reading/math developmental stage and gives them the repetition and consistency they need to begin to advance in those areas. It works for all learning styles, all ages (toddler up to about 13 years old), and is something you can take on the road to doctor’s appointments or while you are travelling. I can identify with many of the reasons listed above. I have some children who are developmentally delayed in reading, others who would be totally on grade level if I could be more consistent, but there just isn’t enough of me to go around, and others who have learning challenges. For me, Reading Eggs works with all my kids at their own level without me. I can track their progress but I don’t have to sit there and help them every step of the way. I can have one child working on their reading or their math while I help another child with their science! It interests and engages my daughter who has some learning challenges, and it doesn’t take a lot of time! For us, it has been a life saver and I am watching my kids reading and math levels jump up with every lesson that they take. 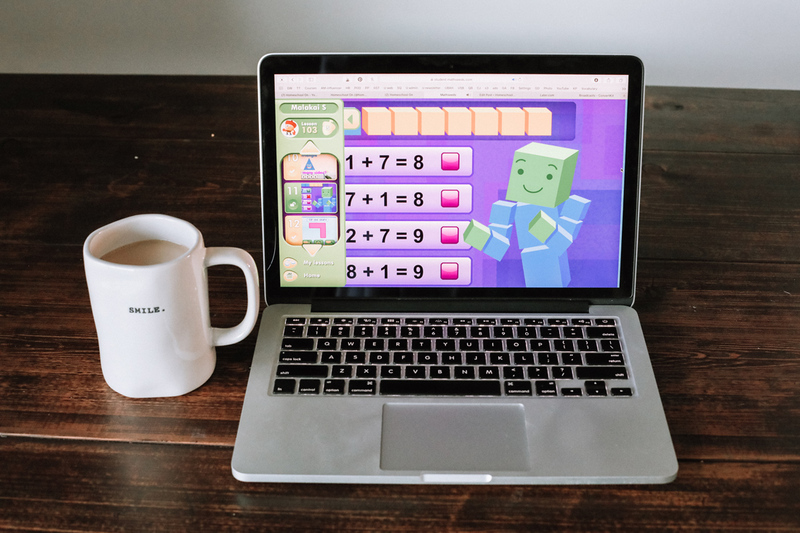 If you are more of a hands-on, textbook style mom, they even just came out with workbooks that go along with the lessons to help re-enforce and show what the children are working on in their online lessons. 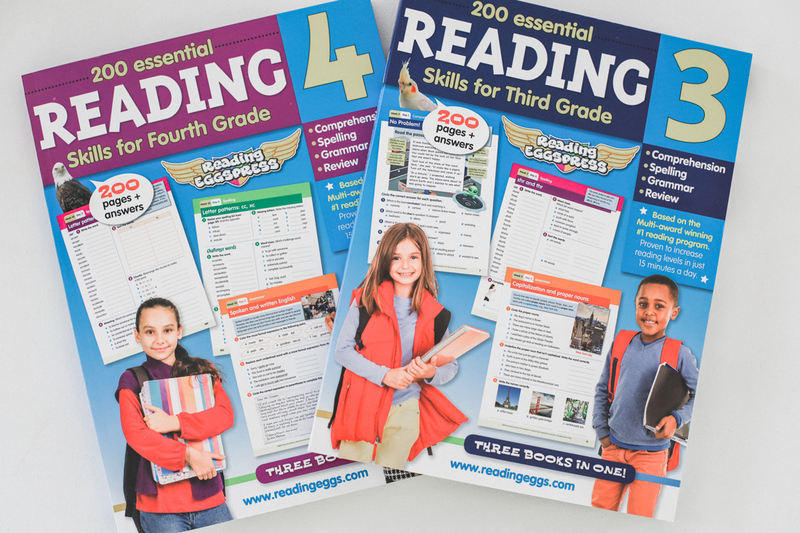 It is easy to use, fast, and effective and a great solution to get at least some consistency and structure back to your homeschool day. See how it works and try it out for free! 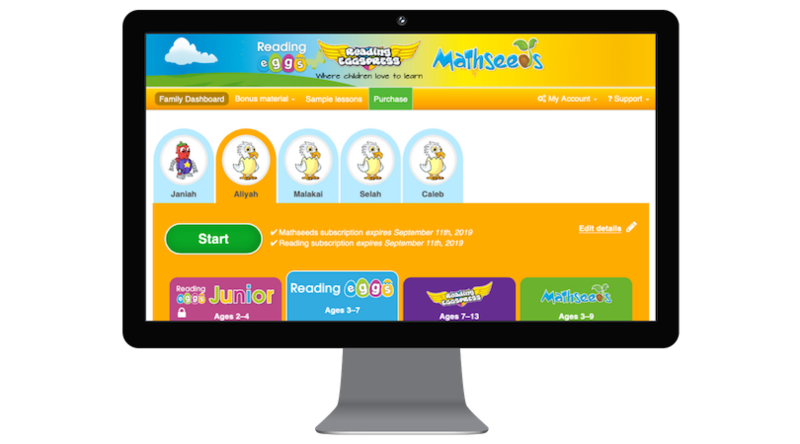 The team over at Reading Eggs has offered a 4 week free trial of the full program including Reading Eggs Junior, Reading Eggs, Reading Eggspress, and Mathseeds for my little community and I am so excited to share it with you! It is a great way to see how it works for your kids! There is a placement test that they will start with (or you can skip that if your child is in kindergarten and needs to start at the beginning) so that they are working exactly at the level they should be without you having to figure out where that is. It is only available until November 30th so head on over! PLUS I am going to be offering a giveaway for 2 complete years of Reading Eggs over on my Instagram on Friday so keep a lookout for that and make sure to come on over and enter on my Instagram profile. Is your child falling behind? Can you relate to this list? What have you found that helps? Chime in in the comments below! All 3 of my older kids use Reading Eggs ages 7,5, and 4 years two are quite independent on it and one needs help because she has co-ordination issues related to dyspraxia. I clicked the link for the free trial and I got the” something went wrong” page. Help please! Both my kiddos are behind in a subject or two. My daughter its science because science and actually socials are boring for her. For my son its math…but that’s because like his dad math doesn’t make sense. I have to break each question down into little steps every time. I see it click sometimes then he will forget the steps and panic when he sees a large equation. I am dreading algebra but he is determined to be an engineer and study the Marianna trench one day…so we push ahead. I dont sweat it anymore because I know someone who graduated from University at 50 so I figure that God has the best in mind for them and his timeline is more important and bettef than mine. Also I work fulltime so school works around my work schedule….we have done math at 10 pm and at 7 am….depends on the day. We have the added challenge of mental illness in our family. I have anxiety/depression, my husband deals with bipolar disorder, and my oldest has anxiety problems! Struggling with this has taught me something I feel like I have to share. When things look like you’ll never catch up or you just feel like the pressure is about to implode, get everyone outside and laughing. It helps us reset our connection, our motivation, our morale, and our focus. Thank you for the informative and supportive article. I always am grateful for the support I find in your community, especially your Facebook.